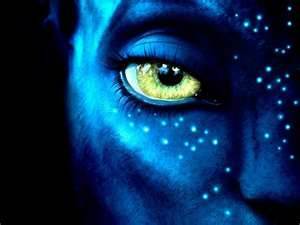 The first time I saw Avatar, I got sucked in by the visuals. Good Heavens… the visuals!!! The second time I saw Avatar, I watched it for the story which was actually kind of soggy for me. It was more or less a politically correct denunciation of US imperialism, nature exploitation, cowboys and indians violence, and the rest in a story of US campaign to exterminate the natives of a planet for its minerals. It was about intolerance and greed (which inherently should make a good storyline, but it felt wishy-washy at best. )It’s all rather “Dances with Wolves” set in outer space. And yes, being the woman that I am, I appeciated James Cameron’s ability to throw a love story in the mix. Thank you, James! The casting… superb. There really isn’t another word for it. Sam Worthington, Stephen Lang and Sigourney Weaver could not have been better choices and I’m hoping that they will come back in the sequel. Oh yes…. Avatar is the first of a trilogy – most likely an award winning trilogy that will take plenty of time and money to produce. You see, the concept for the 2009 blockbuster Avatar started in 1994 with an 80 page treatment for the film. It grew to a screenplay and a multi-million dollar venture that has grossed more than two BILLION (yes, with a B) dollars and brought home three academy awards for Best Cinematography, Best Visual Effects, and Best Art Direction. With the long wait for Avatar, don’t hold your breath for the next in the trilogy. The earliest we might see any sign of life is going to be 2014, but more realistically it will be 2016. If the sequels are anything like the original, I think they will be well worth the wait.